The date is set for our next Friendship Ride! 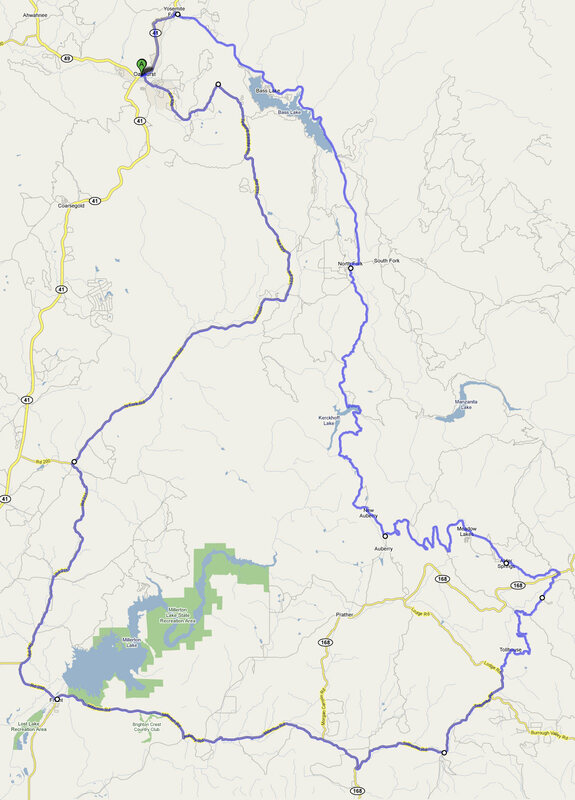 Officially known as the “Friendship Ride Loop”, this route is one of my favorites as it offers a great sample of the different roads you’ll find when out cruising the foothills and into the Sierras. 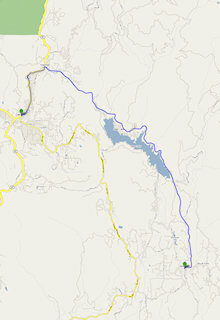 Mike and I spent a lot of time of these roads, which makes for a perfect fit for our ride. Meeting at 9:00am at the Starbucks in Oakhurst located on Hwy 41 across the street from the Chevron gas station. Tires rolling at 10:00am. I’ll be there at nine, so if you need that extra juice to get you going, feel free to come up early and join me for a cup or two. This loop starts in Oakhurst, traveling through Auberry, Bass Lake, Clovis, Friant, Tollhouse, North Fork and finally returning back to Oakhurst. The Travel time is about three hours and roughly 108 miles. That may not seem like much, but after you see what these incredible roads have to offer, I’m sure you’ll agree that the Friendship Ride loop is quite an adventure. 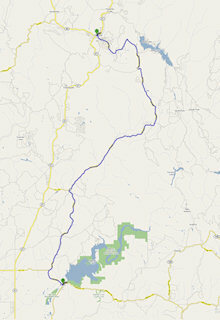 We first head out of Oakhurst on Road 426 (Crane Valley Road) towards the town of North Fork. This road is pretty tame and consists of only a few tight decreasing radius corners. 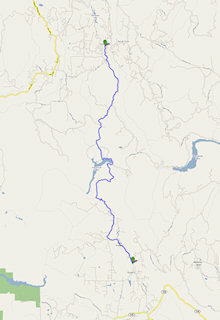 Once we reach North Fork, we will head down toward the valley via Road 200. 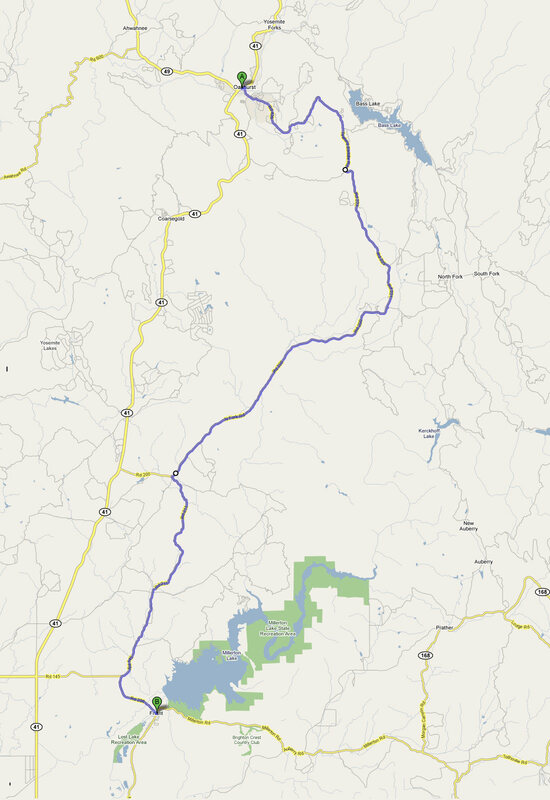 This road is also pretty easy going and offers wide sweeping corners as it twists its way toward the valley. As we hit the lower elevation, the roads gets a bit more twisty but always stays smooth and usually clear of much traffic. We will make a quick stop and regroup at the O’Neals elementary school before continuing on our trip. Road 210/211 leads its way across the edge of the valley to Friant. Although this road may be a bit bumpy at first, most who take this route find that its benefits far outweight the road’s somewhat embarrassing pavement. Despite its condition, it is one of my favorite roads in the area and when I find a trip to the valley is in order, I always do my best to use this road to get there. We will stop to chat and stretch our legs at the Shell station in Friant just long enough to make sure that everyone is accounted for, then we will continue on our trip. We then head up Millerton Road back toward the foothills. The stretch is pretty tame, nice smooth roads and sweeping turns. We are going to stay on Millerton Road which becomes pretty much a one lane road with no dividing line. This is actually a pretty smooth road that has some nice elevation changes, just keep your speed down and watch for on coming traffic. The road is not very well traveled so enjoy this little known road as it curves through the valley countryside. We’ll be switching over to Hwy 168 for a bit, this will be somewhat crowded as it leads the valley folk up to Shaver Lake. We’ll travel this road for only a few miles before turning off on Tollhouse Road. This road is a bit twisty but is nice and smooth. In the cooler months, it’s lined with beautiful greens from the towering trees which cover and shade the road. This will lead us to our next stop at Humphrey’s Station. Again, we’ll stop here to rest and make sure we haven’t lost anyone. You’ll find cold drinks and snacks in Humphrey’s Station, but don’t fill up too much because we’ll be having a late lunch at the end of the ride. These next roads are probably some of my favorite roads in the area. Tollhouse Road is a smooth, twisty road that leads to the little town of Tollhouse. The road curves up the mountain side creating awesome views to the valley below. This road can be a bit tight in parts with a few hairpin corners to tempt your appetite. 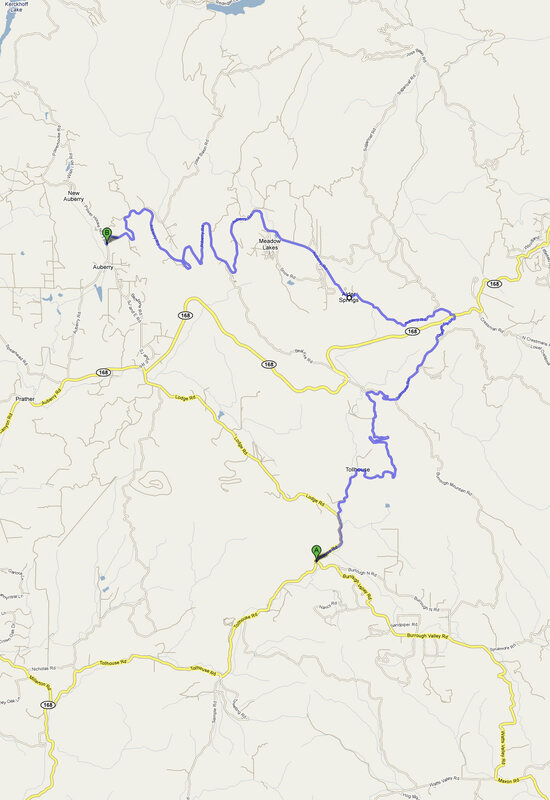 I’ll be waiting at the top before we cross over Hwy 168 towards Auberry. Auberry Road runs back down the mountain revealing views from the other side and its beautiful valley below. These roads have some of the best views and are blessed with very little traffic. As we come down into the town of Auberry, we will stop here for a bit to catch our breath before heading through one of the most twisty sections of the ride. This next leg of the trip will not disappoint. This is probably the most twisty part of the ride. Powerhouse road winds down though the mountains toward the Wishon Powerhouse at the bottom. This road is pretty smooth but at times contains very tight corners with a few decreasing radius corners thrown in just for fun. 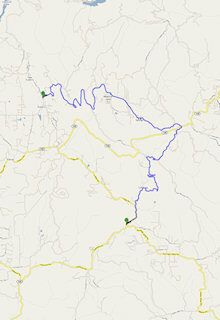 We’ll be turning right when we reach Road 200 again and heading to the Chevron Station in North Fork. Here we will stop for one last breather and those who may need to fill up the tank can do so. We will set off shortly for our final destination back to where it all started in Oakhurst. This final stretch will be a breeze. 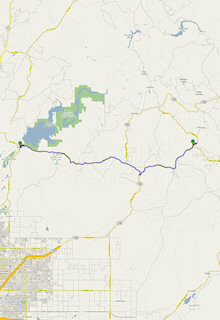 We’ll take the high road out of North Fork, around the top of Bass Lake and back down into Oakhurst. 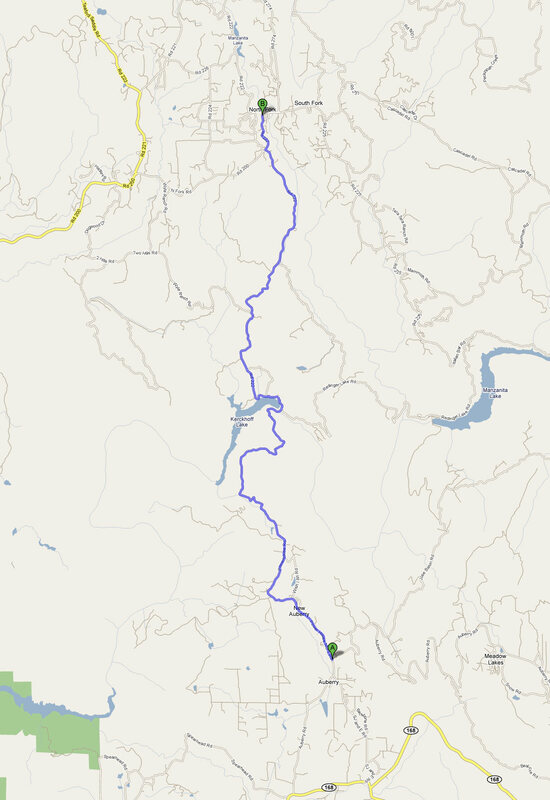 This route is filled with big sweeping turns, very little traffic and a quick view of the rest of Oakhurst as we come down from the mountain and into town where we will be stopping at Fresno Flats Historical Park and our final destination. 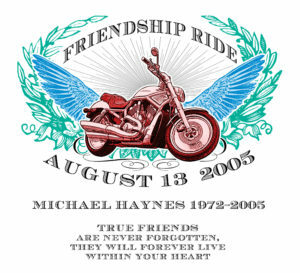 I started this ride in memory of my good friend Michael Haynes, who was taken from us on June 8, 2005. 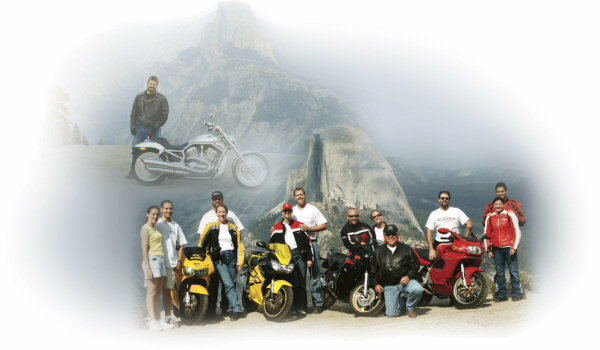 Mike was all about the thrill of the open road and the camaraderie that came with it. He loved exploring new roads as well as sharing the old one’s with his friends. 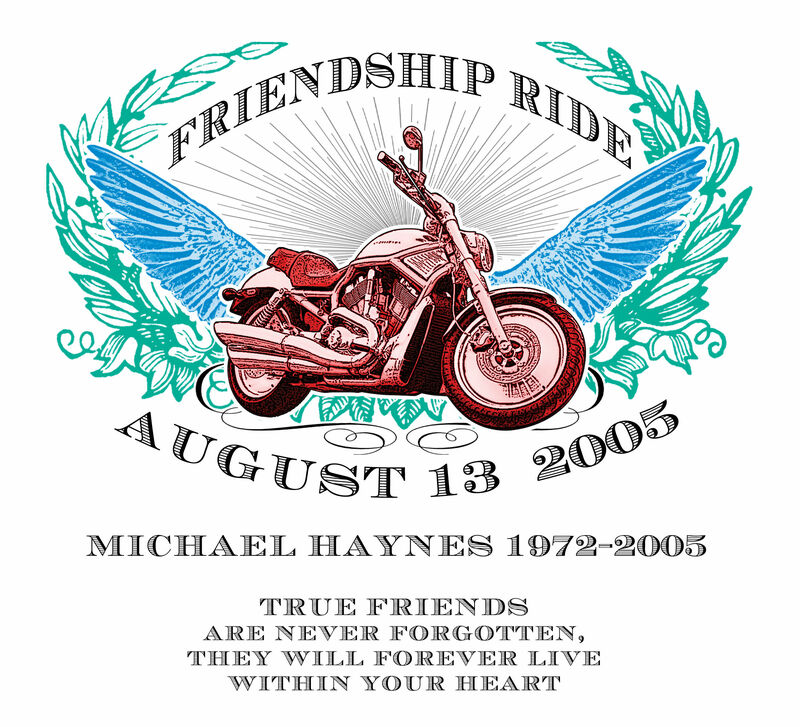 Mike and I shared a lot of good times, not all were motorcycle related but this passion we shared was a big part of who we are. I couldn’t think of a better way to honor my good friend than to get a bunch of friends together and spend the day riding.